The Camping Utensils are the perfect on the go utensil set! Set includes four useful utensils: spoon, fork, knife and bottle/can opener. 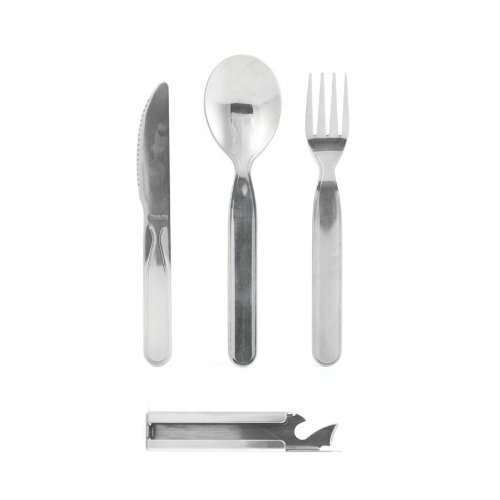 These utensils are stainless steel, dishwasher safe and durable.